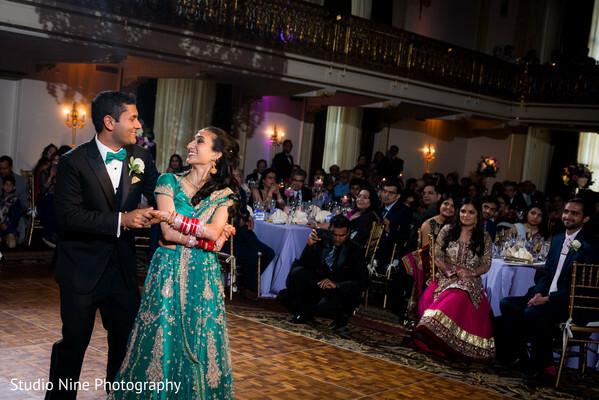 Every wedding begins with a love story and there is no doubt that Smita and Vikrant’s tale is one that will be told for many generations to come. 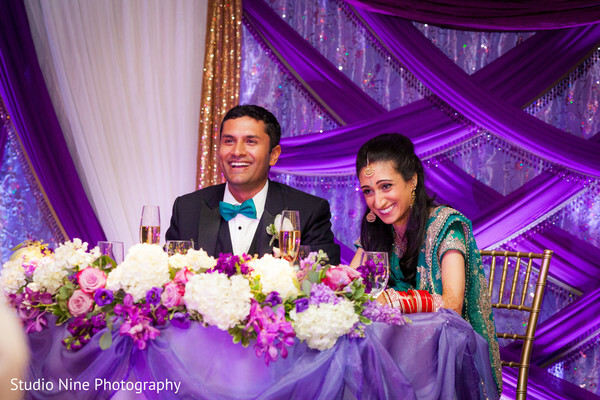 This lovely couple knew that when the special day would arrive, only a stellar planning and design team would suffice. 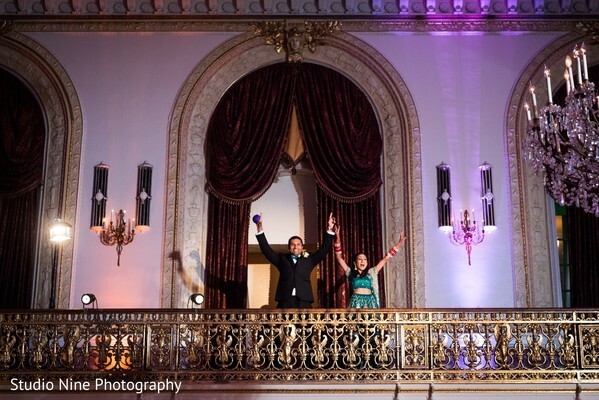 Enter the talented troupe of Divine Celebration Events who spearheaded the very important task of ensuring the series of event flowed effortlessly. Today’s classical tale ends at the Omni William Penn Hotel where the magical quarters were transformed with pure pomp and splendor. 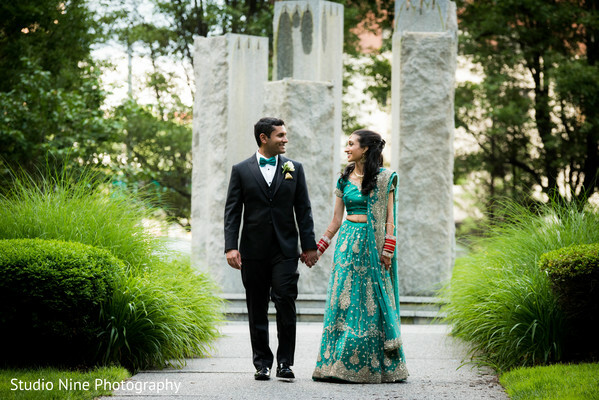 The bride stood out in a turquoise lengha with silver motif work and loose curls. 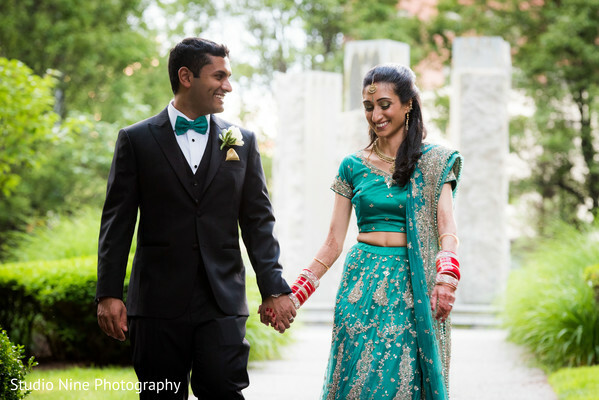 Jewelry was left at a minimum and this bride is a standalone knockout - only the crimson red bangles were needed! 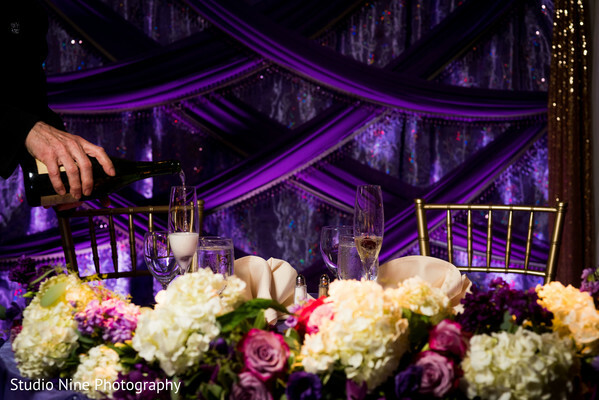 The theme of the night had to be royalty as the shade of purple dominated the room. Lighting by E.F. Lighting was key to the romantic glow that bathed the quarters. Planet DJ Productions rocked the crowd and not a single person was left in their seat as the room was filled to the brim in euphoric beats. Taj Mahal Catering dished out delectable Indian cuisine. 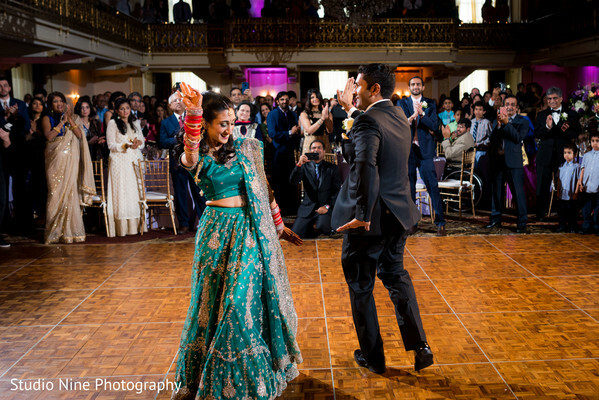 Ponder through the series of events in our gallery captured with the creativity eye of Studio Nine Photography. 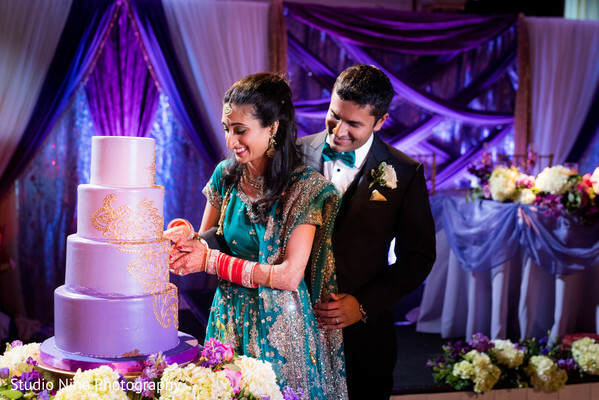 Divine Celebrations & Events, Studio Nine Photography + Cinema, Planet DJ Productions and Diva Mehndi Arts are members of the Platinum Guide. Love what you see? Explore their portfolios.